Canada’s Zhang Mo and Lily Zhang head the seeding in the Women’s Singles event at the forthcoming 2017 ITTF Pan American Cup, the three day tournament starting in San José, Costa Rica on Friday 28th July. They very much represent the North American challenge. 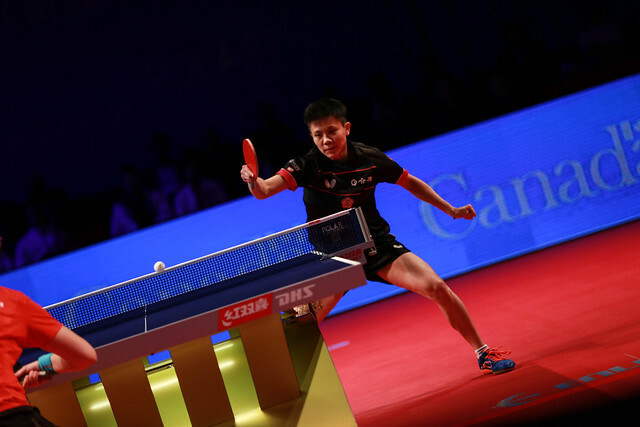 However, I would suggest that the name to note; one of the favourites to book a place in the Uncle Pop 2017 ITTF Women’s World Cup to be staged in Markham, Canada later in the year, is that of Wu Yue of the United States. She is the fifth name in the order of merit. Furthermore, arguably she has a special reason to reserve a berth in the Greater Toronto city; at the 2015 Pan American Games, staged in Markham, she remained cool, calm and collected throughout the whole tournament to win the Women’s Singles title. At the quarter-final stage she beat Puerto Rico’s Adriana Diaz but more pertinently one round later overcame Caroline Kumahara before sealing the title by beating Gui Lin in a tension packed full distance final. Success at the Pan American Games meant a place in the Rio 2016 Olympic Games where, after accounting for Slovakia’s Eva Odorova, she was beaten by Sweden’s Matilda Ekholm. Similarly, at last year’s Seamaster Women’s World Cup in Philadelphia it was defeat at European hands; she was beaten by Spain’s Shen Yanfei and by Romania’s Elizabeta Samara, whilst at the recent Liebherr 2017 World Championships in Düsseldorf, Germany’s Petrissa halted aspirations in round one. However, most notably in the Women’s Doubles event in Düsseldorf in partnership with Lily Zhang, a quarter-final place was reserved; progress being halted by China’s Chen Meng and Zhu Yuling, the eventual runners up. Defeats at the hand of players from the old continent and beyond but against those from the Americas it is a story of success. Last year she won the North America Cup in Burnaby; notably at the latter stages she beat Lily Zhang before clinching the title at the final expense of colleague Zhen Jiaqi. World ranking may advise Wu Yue is an outsider, the evidence of recent international results, no losses against North American or Latin American players, suggests otherwise.